Sometimes I throw away the packaging of miniatures a bit too fast… leaving me later to wonder who the hell the manufacturer is! That is the case of the two larger fairies below. I bought them at Salute 2018 – fortunately, a tweet from Salute 2019 pointed me to the manufacturer being Firestorm Games for their game “Moonstone’. 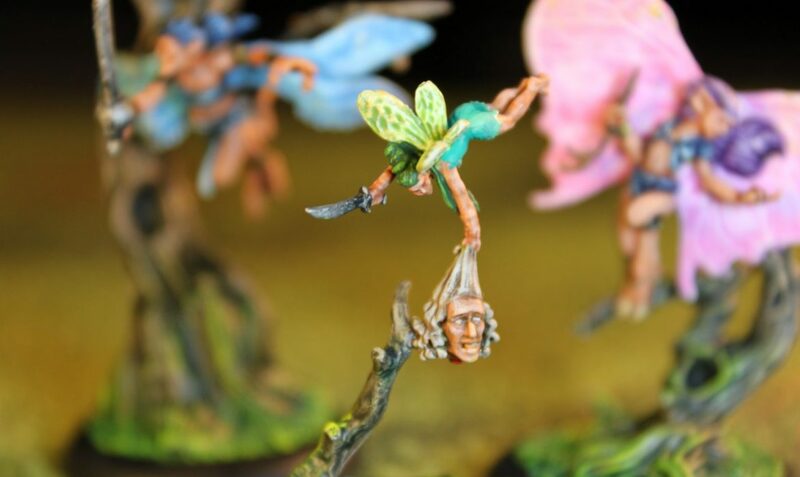 Thew smaller fairy is a Fairy Huntress from ever-awesome Darksword Miniatures. 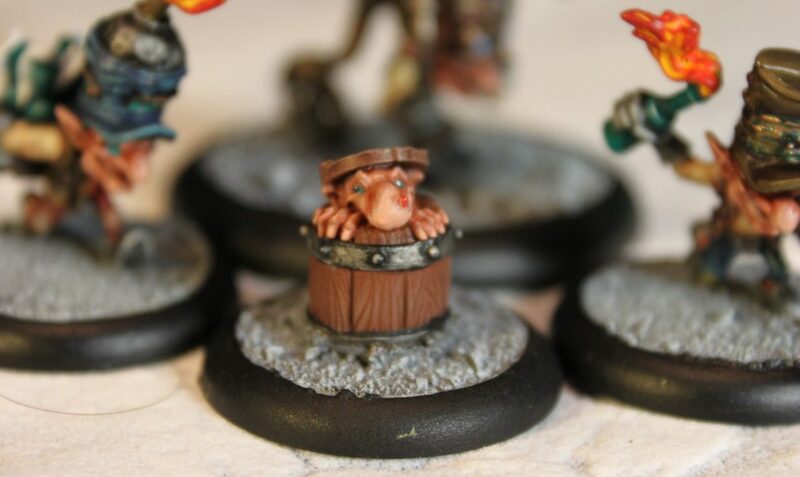 I won’t lie: I’ve been wanting to paint these crazy little dudes since I saw them the first time. But since I no longer play Warmachine, I didn’t have a reason to buy them. However, having picked up Dungeons & Dragons, they seemed like a perfect type of crazy fit into the Feywild which is becoming more and more prominent in our currrent campaign. 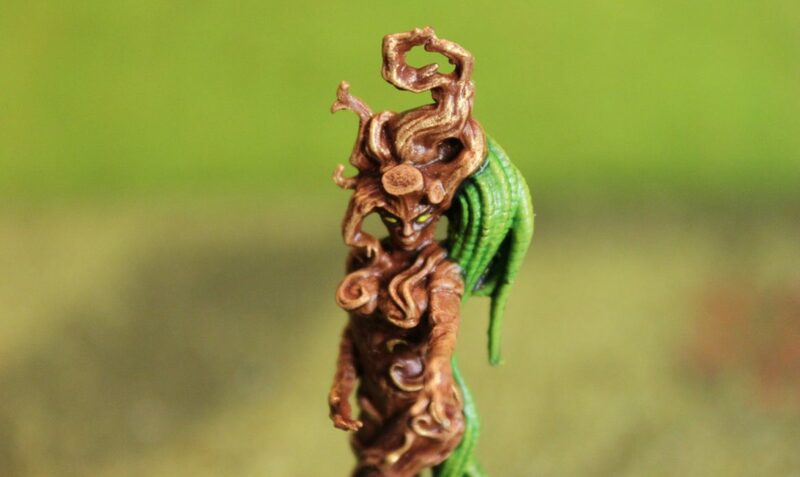 While randomly browsing to find miniatures suitable for the Feywild, I found this elegant “undead” named Bianca at Greebo Games who I think is perfect as a Dryad Queen in my Dungeons & dragons campaign as there seems to be a Feywild current evolving. I painted her rather quickly: Brown, inked with Earthshade, drybrushed and added some gold highlights to give her some sparkle. What a great miniature. 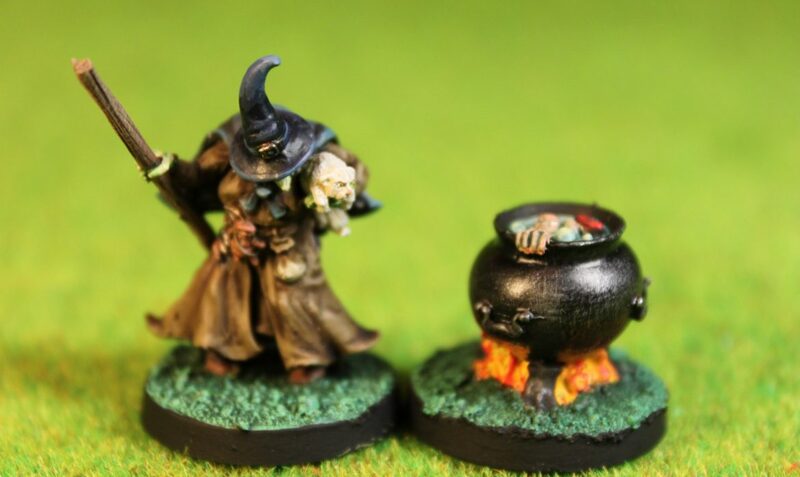 Full of evil and character that is embodied in the cauldron too.